Reed student Cole Perkinson ’13 prepares to make merry with his marimba. All roads lead somewhere. For Cole Perkinson ’13, they lead to Africa. 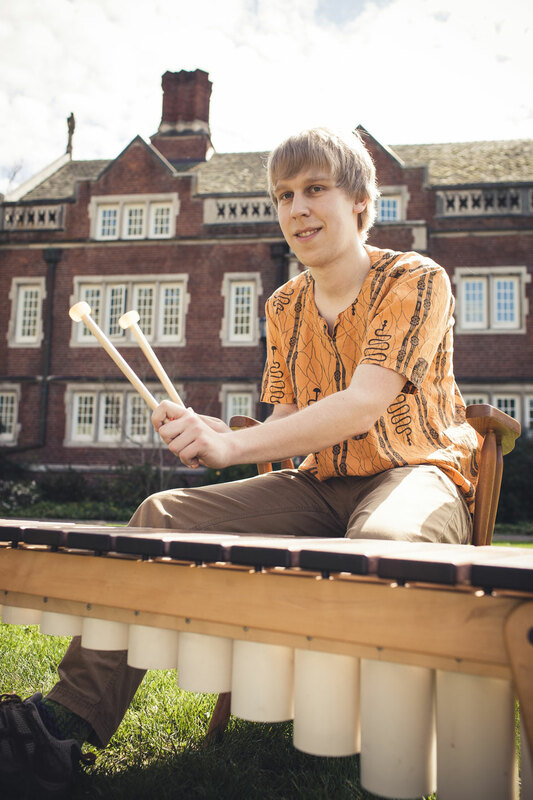 Cole, a chemistry-physics major, has been awarded a Watson Fellowship to spend a year in Africa exploring native music. The Watson Year provides fellows with an opportunity to test their aspirations, abilities, and perseverance through a personal project that is cultivated on an international scale. Watson Fellows have gone on to become international leaders in their fields including CEOs of major corporations, college presidents, MacArthur “genius” grant recipients, diplomats, artists, lawyers, doctors, faculty, journalists, and many renowned researchers and innovators. The program offers a stipend of $25,000 to 40 fellows from 40 liberal arts colleges to pursue an independent study of something they are passionate about in a country that is not their own. For Cole, that passion is Zimbabwean music, which he has played with his family since he was 10 years old.